Apple seeded the final version of iOS 12 to the general public in September soon after the new iPhone XS, iPhone XS Max were announced. iOS 12 on its own is a pretty big upgrade considering the amount of features in the mix. The firmware does not only bring new features but also features performance imprivements on older as well as new iPhone models. Now, as per data from Mixpanel, iOS 12 adoption has crossed 75 percent, beating iOS 11’s upgrade rate. So let’s dive in to see some more details on the matter. As we have mentioned earlier, iOS 12 has the milestone almost 3 weeks faster than iOS 11. Mixpanel’s data comes from analytics frameworks within apps and mobile websites when looging the OS version for iPhone, iPad and the iPod touch. 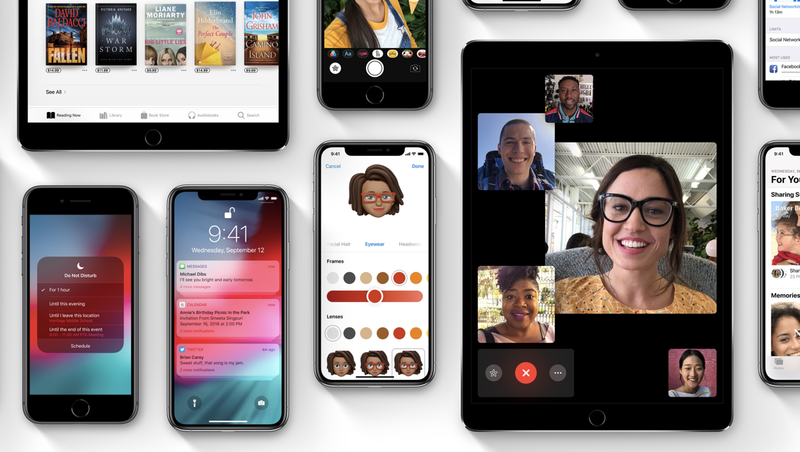 The compa y suggests that iOS 12 has an install base of 75.05 percent, iOS 11 rests at 19.5 percent and 5.5 percent contributes to iOS 10 and older versions. While there is a minor difference in Apple’s and Mixpanel’s nominal percentage figures, there’s no denying that iOS 12 adoption is happening at a mucg faster rate. The 50 percent mark was crossed on October 10 and the firmware’s adoption rached 60 percent on October 29. Users have a lot to look forward in iOS 12. From performance enhancements to adding a plethora of features, the operating system has showed consistent increase in its adoption. iOS 11 was crawling with bugs and it took Apple some time to fix them via software updates. In contrast, iOS 12 was pretty smooth in its operations, bragging enhanced performance on older iPhone models. There will be more to the story, so be sure to stay tuned in for more details on the matter. This is all for now, folks. What are your thoughts on the matter? Do you think iOS 12 is a far superior upgrade compared to iOS 11? Let us know in the comments.